The cleanest toilet at a music festival is obviously backstage, and if you want to use it you’ll have to either impersonate a security guard or make friends with Outkast’s publicist. But considering that the average festival goer is six eight-dollar beers in and suffering from mild sunstroke by the time nature calls, that might not be the most practical option. So the math nerds at Numberphile—the same people who recently determined the mathematically perfect way to cut a cake—fired up their calculators and found a solution to this stinky problem. Their solution is based on a statistical concept known as “The Secretary Problem,” which is based on the following question: When you hire a secretary, how do you know who’s the best candidate for the job without actually interviewing every single applicant that’s out there? The answer, as seen through the prism of Porta-Potties, is basically this: Look inside 37% of the available toilets, then try the next toilet that’s better than any of the ones that came before. That involves looking into more than 37% of the toilets, but after the 37% tipping point you can stop as soon as you find something better. This is, statistically speaking, as good as it’s going to get. The reason why is explained in a basic, liberal-arts-major-friendly manner below, or in greater detail by Numberphile’s Dr. Ria Symonds in this supplementary video. 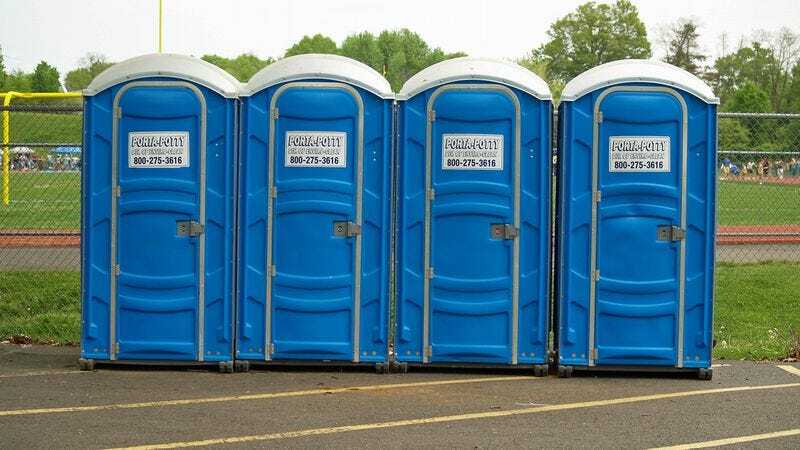 Of course, at a crowded music festival insisting on looking into over 37% of the Porta Potties before finally picking one is a great way to make enemies. But isn’t pooping in peace worth it?